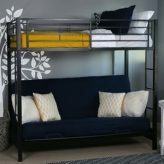 Considering metal bunk beds? We all want to get the best value that we can for the money we spend. 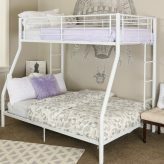 And here at Bunk Beds Bunker, we offer top quality at affordable prices. 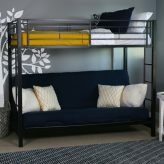 Shop our wide selection of modern style metal bunks such as twin over twin, twin over full, or futon couch. They’re the perfect solution when space is limited and kids love sleeping on top bunks! 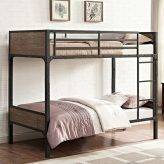 Get the most bang for your buck with metal framed bunk beds from BunkBedsBunker.com today! Economical prices, sturdy construction, and simple design are all features of all our bunk beds. 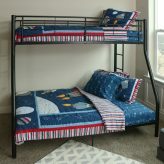 At bunkbedsbunker.com, you will find bunk beds to meet all your sleeping needs whether it’s just a top bunk for overnight guests or small spaces that need to accommodate multiple sleeping children on a daily basis. 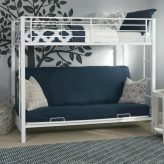 We have black bunk beds and white bunk beds as well as futon bunk beds. Our metal bunks are easy to assemble, easy to move and economically priced. 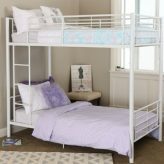 Consider economical sturdy steel bunk beds & metal futon bunks! 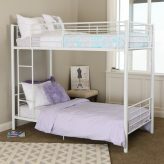 Many folks think you don’t have options with metal bunk beds. But our metal bunks come in three finishes – white, black, or silver. 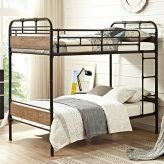 They come as basic metal frame bunk beds, twin over twin bunks, twin over double bunk beds, or even as a futon bunk bed. So you really do have a number of options if you are considering a metal bed. They are economical and practical. They are simple enough and easy to design your room around them. 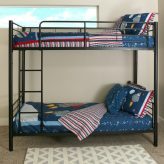 This type of bunk with all it’s selling points is certainly worth your consideration if you are in the market for a bunk bed. 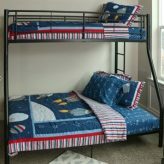 Bunk Beds Bunker is a day bed bedding company offering metal bunk beds for kids of all ages and interests. 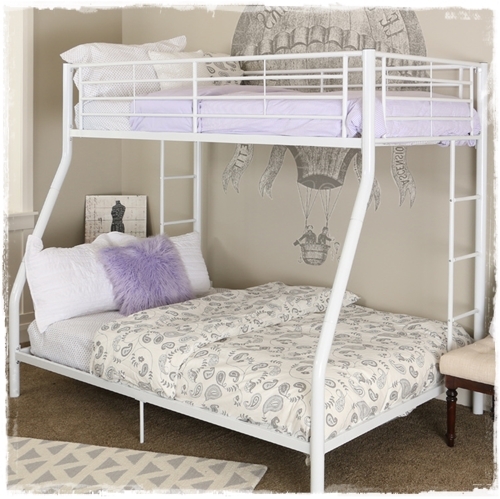 Shop our selection of metal bunk beds for kids today!